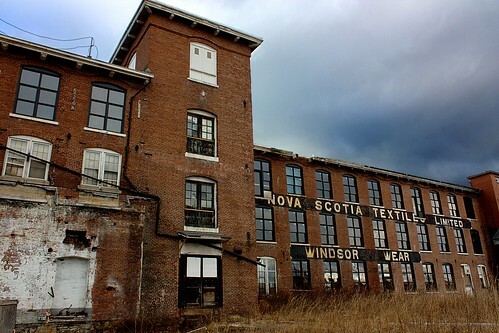 Since the Eagle Watch was a bit of a bust Jim and I decided to pull into the old Nova Scotia Textiles Limited building. I've always wanted to stop and check this building out so we did. Interesting place.